Have you ever had a customer ask you for a certain product that didn’t exist? For instance, you have a line of beautifully designed scarves in an array of diverse patterns and designs on display. And yet, there’s that one customer who approaches you asking for that one color, that one pattern that you don’t have in stock. Maybe the reason you don’t have it in stock is because you’re sold out of that particular product, or here again, it just doesn’t exist. 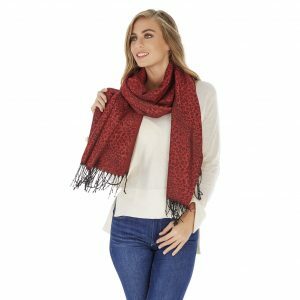 When it comes to fashion scarves Organic Apparel USA, a textile manufacturer located in South Florida can design custom scarves in whatever kind of pattern you can imagine and in a variety of colors. Furthermore, our high-end fashion scarves are available at wholesale prices, so you’ll be able to purchase them in a bulk amount at the most affordable rate per unit. Create your own unique line of custom couture scarves exclusive to your store! Design a pattern that is unique to your brand and style, making it the most coveted and limited line of scarves in the fashion market. Organic Apparel USA line of Shawlbliss scarves is made of 100% Pashmina and versatile enough to be worn as a shawl or headdress. It’s a lightweight fabric. That means it can be worn throughout the four seasons. If you live in a cooler climate and think that you’d do better selling fashion scarves specifically for outer wear, then speak to a Organic Apparel USA representative to discuss what kind of material would work best for outer wear. As a business owner, whether you are operating a brick and mortar or online store—maybe even both, it’s absolutely imperative that you purchase your product in bulk. In the fashion industry it might be a challenge to do this, especially if you’re trying to put out an exclusive product, because designers tend to sell their items at a generous price. But with Organic Apparel USA, you can be the designer! So not only will you be able to cut the expense of paying the designer, you’re also able to create your own unique line of fashion products at a discount price. As a result, you can sell your fashion scarves at the same price as any high quality scarf with the exception that your profit margin might be a bit profitable than your competitors. It’s all about being different! The fashion industry is competitive. There’s no doubt about it! But if you’re already operating a retail business, one geared toward clothing, then why not offer a product that provides something uniquely different—your take on a modish accessory, one that everyone believes they must have? 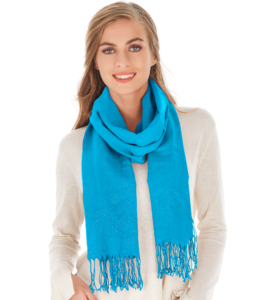 Contact the Organic Apparel USA eCommerce branding experts to get a free consultation about how we can manufacture your custom scarves in bulk. We look forward to working with you soon!